Certified polio-free in March 2014, India continues to remain vigilant against all three types of polioviruses. 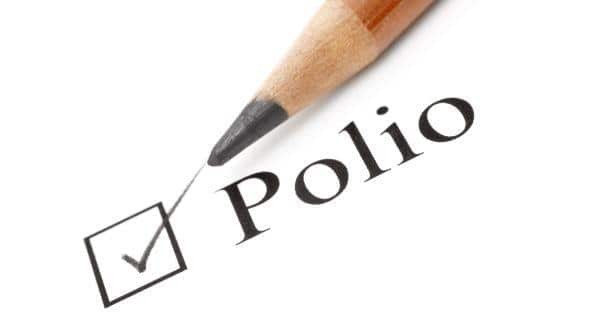 The last polio case due to wild poliovirus in the country was detected on 13 January 2011. Type 2 poliovirus containing vaccine has been phased out globally, and in India, in April 2016, as a part of the polio End Game strategy. As elsewhere, bivalent oral polio vaccine (bOPV) has replaced the trivalent OPV (tOPV) in all polio campaigns and routine immunization in India. As advised by the India Expert Advisory Group, India continues to conduct mass vaccination campaigns against polio, using bivalent oral polio vaccine (bOPV), to maintain high immunity against polio. Two nationwide campaigns and a sub-national campaign have already been conducted in 2018. As a part of efforts to maintain high immunity against all polioviruses, India provides inactivated poliovirus vaccine (IPV) and bOPV to all infants across the country under routine immunization. Recently, Type 2 polio vaccine virus was found in some sewage and stool samples. The detection of Type 2 vaccine virus demonstrates a robust polio surveillance system jointly managed by the Health Ministry, WHO and partners. A team of Indian Council of Medical Research, Drug Controller General of India and Ministry of Health & Family Welfare investigated the matter. A few vials of bOPV, supplied by one manufacturer in India, were found to contain traces of Type 2 polio vaccine virus. The Ministry of Health & Family Welfare took immediate and decisive action withdrawing the vaccine supplied by this manufacturer from all states that it was supplied to. Despite the risk of vaccine derived polio being minimal, the immediate withdrawal of these vaccines demonstrates the commitment of the government to the health of children. In view of high routine immunization coverage being achieved in India under Universal Immunization Programme (UIP), the risk of children getting vaccine derived poliovirus is minimal. All vaccines provided under the UIP are safe. Ensuring your child is vaccinated against Polio is not only essential for his/ her protection but also important to keep India Polio Free. WHO and UNICEF stand committed to support the government in maintaining a Polio-free India.